In the whole blogging journey, one of the main hurdles is choosing a good web hosting company. This is because the whole data of your site will be stored on the hosting server, and also the hosting server is responsible for the website speed, and the website speed is the main ranking factor of search engines. I along with time changed many web hosts and love to share my experience with different web hosting companies. Currently (while writing this post) my site is hosted on KnownHost and it has been near 2 months. So, with today’s article I’m sharing my overall experience with KnownHost web hosting. As I many times explained that there are some important factors that we all should have in mind while choosing a good web hosting company, so according to me the following factors are very important you should see in every web host. Let me explain how serious the Knowhost is about these factors! Technical support is the main factor we must consider while choosing a web host. You must have the better information about company’s technical support quality because you may many times need the quick support from the company in critical time of your website. Web hosting companies provide different technical support options such as live chat, phone support, and email support. And live chat and phone support are the best support options because with these support options you can quickly fix the issues by frequently talking with the representative. But, unfortunately, KnownHost doesn’t have any of them. I mean there is only email (ticket submission) support option and then they will respond to your ticket or email. But, honestly I love it more that the live chat and phone support options. Do you know why? Because they never took (for me) more than 5 minutes to respond any of my question. Mostly their support staff responds in 1 to 2 minutes. So, I’m very happy with their technical support and highly appreciate it. And it’s much more better than the live chat and phone support option. It wouldn’t be possible that you’re familiar with all kind of hosting control panels, so whether its command line or any control panel, you can choose how you want to manage your server. Basically its VPS plans come with 2 or 3 control panel choices but you can still install whatever software you want to manage your server. If you want to install any different control panel which company doesn’t offer, you can order the VPS without any control panel and after that you can install whatever you prefer. If you’re unable to install, customer support staff will help you do so. Having the VPS plans with SSD storage was the main reason for why I chose KnownHost hosting because I just wanted to increase my website loading speed. Commonly most of the web hosting companies like Hostagtor and Bluehost provide traditional HDD storage facility whereas I would like to recommend using SSD storage, as they are more faster than HDDs and provide optimal performance. According to some experts, the SSD storage drives perform up to 20% faster than traditional HDD drives. There may be less web hosting companies who provide SSD storage with their web hosting plans such as Inmotion Hosting, Knownhost etc. So, from this point of view I will recommend you to host your site with Knownhost as it offers FREE SSDs with its Managed VPS plans, whereas Bluehost and Hostgator doesn’t. Keeping the backup of your site is always very important because if due to any reason your data is lost or somebody hacked the website, you still have a change to reborn the website using backup. Most of the web hosts doesn’t offer the backup facility, and it’s very bad thing. And honestly I would like to say that never host your site on the web hosts don’t keep the backup of your website data for emergency cases. Or if web host doesn’t offer the backup facility but still you love the web host, you should keep backup at your end. Knownhost have the fantastic FREE backup facility. They keep the backups of your websites on daily basis. So, there is no need to do it of your behalf or no need to worry about anything. The above words are just the reflection of my overall experience with Knownhost web hosting service and I hope if you read them carefully, you’re going to love Knownhost. Let me know what you about KnownHost web hosting. If you need any other information or knowledge about KnownHost web hosting servers, tell me via comments. I will surely give you the honest info according to my self experience. Ask me via comments below or you can directly mail me on raman@allusefulinfo.com. I will always be happy to help you. Take care. Fantastic review. Thanks for sharing with us. Very nice review Raman. Keep sharing such valuable stuffs with us. Very good review. But you didn’t cover the demerits of Knownhost. Didn’t you find any? Actually, you’re right! I didn’t find any single demerit of hosting with Knownhost. I all over loved this hosting company and that’s why AUI is also hosted on the same. If you are looking for the managed VPS and fast support, Knownhost is the best web host. I love its SSD VPS. Glad to read the review as everything you wrote I exactly experienced. I will recommend my friends to read this review. I’m glad you’re recommending it to your friends. I’m sure they will surely be benefited out of this. Well, thanks for the comment. 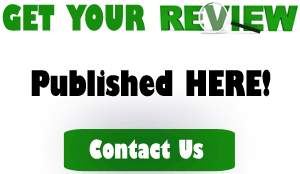 Keep visiting for more web hosting reviews. Knownhost neither have live chat nor phone support so how you can say its technical support is just awesome. I mean it is very difficult to believe. Can you prove it by any proof. I found the technical support of Knownhost just awesome. I’m using Knownhost on this blog and many times contacted them and then never took more than 2 minutes to reply. For your own satisfaction, just create your Knownhost account and ask them your queries, and you will see yourself how much time they take to reply. That’s honestly a great review! Many thanks for you Mr. Raman. I loved your experience and seriously it’s making my mood to signing up with Knownhost but it’s bit costly for me. I am planning to host a website soon. I am very much confused about the web hosting services. Your article cleared all my doubts and I will definitely try this service. Hey Sunil, Your feedback means a lot to me. I hope your service period with Knownhost will be amazing. Keep visiting. I’m amazingly impressed with this of your Knownhost review. I read this whole article thoroughly and happy to tell you that you truly finished my confusion of choosing a web hosting service. I’m spending thousands on hosting my website but still not getting expecting result. I don’t wanna reveal my current hosting company’s name here but I’m just transfer my site to Knownhost. 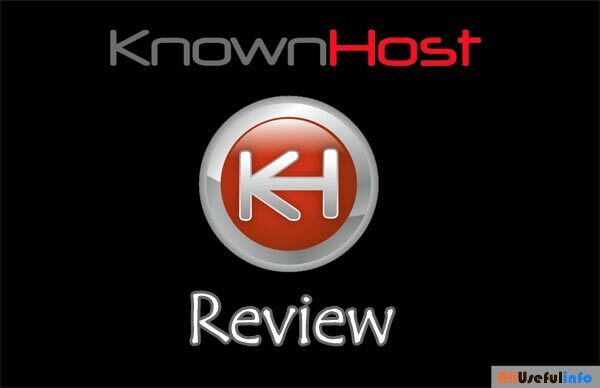 It’s my pleasure you liked the review and decided to choose Knownhost as an impact. Thanks for such a wonderful feedback. How to Recover Unsaved MS Word Documents?